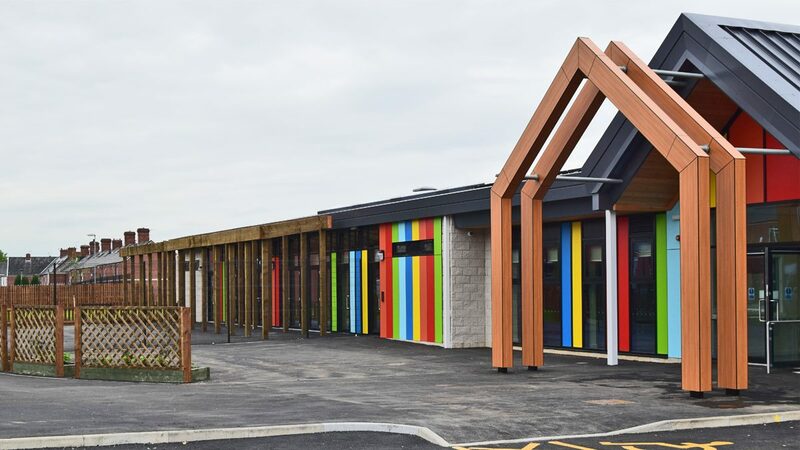 DarntonB3 acted as Architect on behalf of Robertson Construction to deliver this new steel framed primary school on a brownfield site close to the existing school that was part of the overall Goldthorpe Masterplan. 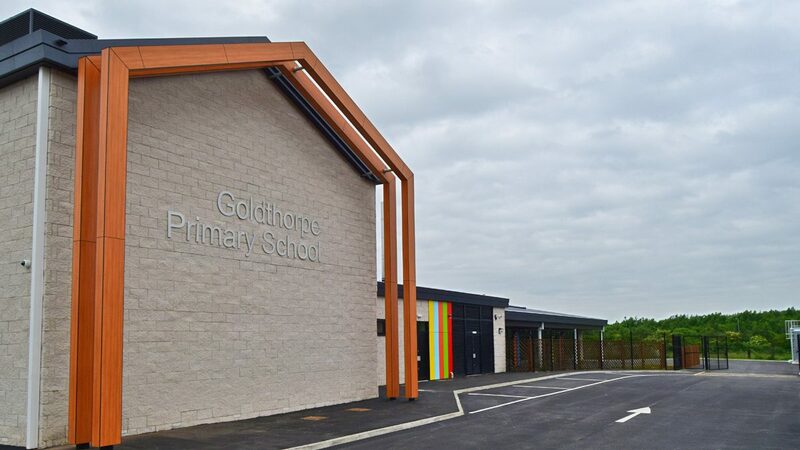 Part of the overall Goldthorpe Masterplan, the School provides an important gateway for the town and delivers increased footfall to the retail centre. 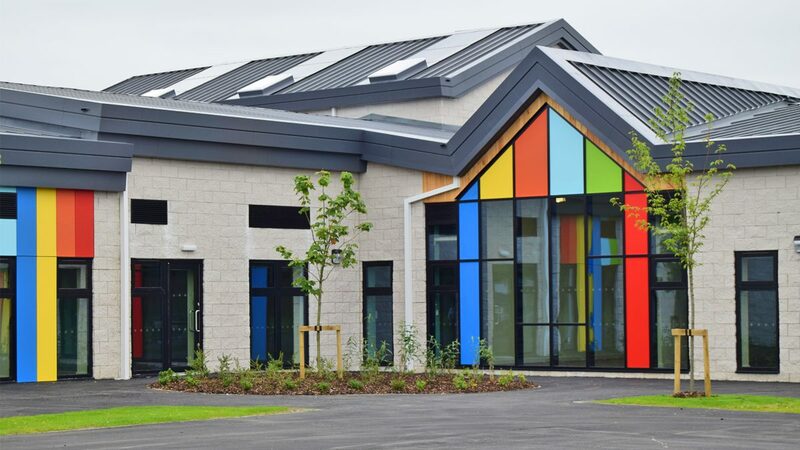 The existing primary school was significantly lacking adequate facilities for today’s curriculum requirements and capacity for the future increase in pupil numbers. 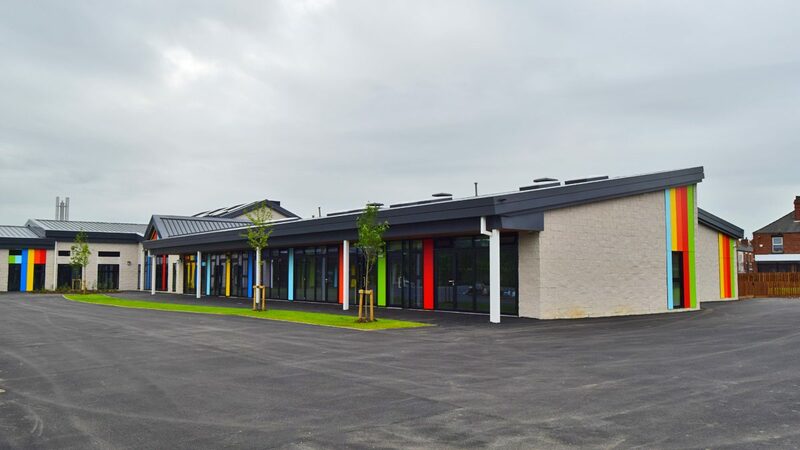 The new school provides modern learning facilities and spacious outdoor play/sports areas that will be enjoyed by the local children. The School accommodates 310 pupils. Classrooms within the school can be opened up to allow easy flow to outdoor lessons and activities.